“Watch out, it’ll hurt for a second.” Not only children but also many adults get uneasy when they hear those words from their doctor. 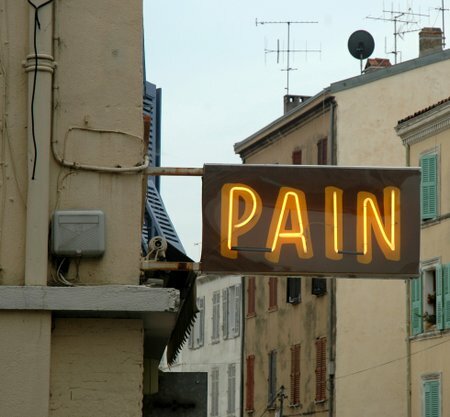 And, as soon as the needle touches their skin the piercing pain can be felt very clearly. “After such an experience it is enough to simply imagine a needle at the next vaccination appointment to activate our pain memory,” knows Prof. Dr. Thomas Weiss from the Friedrich-Schiller-University Jena. As the scientist and his team from the Dept. of Biological and Clinical Psychology could show in a study for the first time it is not only the painful memories and associations that set our pain memory on the alert. “Even verbal stimuli lead to reactions in certain areas of the brain,” claims Prof. Weiss. As soon as we hear words like “tormenting,” “gruelling” or “plaguing,” exactly those areas in the brain are being activated which process the corresponding pain. The psychologists from Jena University were able to examine this phenomenon using functional magnetic resonance tomography (fMRT). In their study they investigated how healthy subjects process words associated with experiencing pain. In order to prevent reactions based on a plain negative affect the subjects were also confronted with negatively connotated words like “terrifying,” “horrible” or “disgusting” besides the proper pain words. “Subjects performed two tasks,” explains Maria Richter, doctoral candidate in Weiss’s team. “In a first task, subjects were supposed to imagine situations which correspond to the words,” the Jena psychologist says. In a second task, subjects were also reading the words but they were distracted by a brain-teaser. “In both cases we could observe a clear activation of the pain matrix in the brain by pain-associated words,” Maria Richter states. Other negatively connotated words, however, do not activate those regions. Neither for neutrally nor for positively connotated words comparable activity patterns could be examined. Can words intensify chronic pain? “These findings show that words alone are capable of activating our pain matrix,” underlines Prof. Weiss. To save painful experiences is of biological advantage since it allows us to avoid painful situations in the future which might be dangerous for our lives. “However, our results suggest as well that verbal stimuli have a more important meaning than we have thought so far.” For the Jena psychologist the question remains open which role the verbal confrontation with pain plays for chronic pain patients. “They tend to speak a lot about their experiencing of pain to their physician or physiotherapist,” Maria Richter says. It is possible that those conversations intensify the activity of the pain matrix in the brain and therefore intensify the pain experience. This is what the Jena psychologists want to clarify in another study. And so far it won’t do any harm not to talk too much about pain. Maybe then the next injection will be only half as painful.